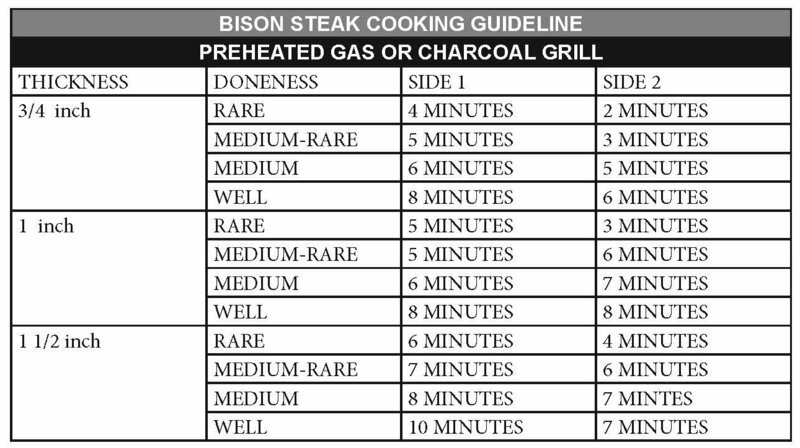 Step By Step Guide to Cooking Bison Medallions. Whether On the Stove or On the Barbecue, Follow These Guidelines for a Perfect Meal Every Time. The taste of bison is very like the taste of beef. It does not taste gamey. There is no aftertaste like some game animals such as moose. The meat is tender, low in cholesterol and high in protein. It’s leaner than beef, pork, turkey—even chicken – and the flavour is out of this world. Most unsuspecting people wouldn’t be able to distinguish between bison and beef! Sink your teeth into our thick and juicy bison medallions and you’ll see why meat lovers love the Bison Top Sirloin medallions . They are tasty and practically fat free. What’s in our bison medallions? Top sirloin Bison Meat. That’s It! There are No hidden ingredients. No steroids. It’s meat that you can feel good about eating! It provides 100% of your daily recommended dose of vitamin B12, and contains lots of thiamine, phosphorus, zinc and b-6. Its low in cholesterol and high in protein, eating healthy never tasted this good. 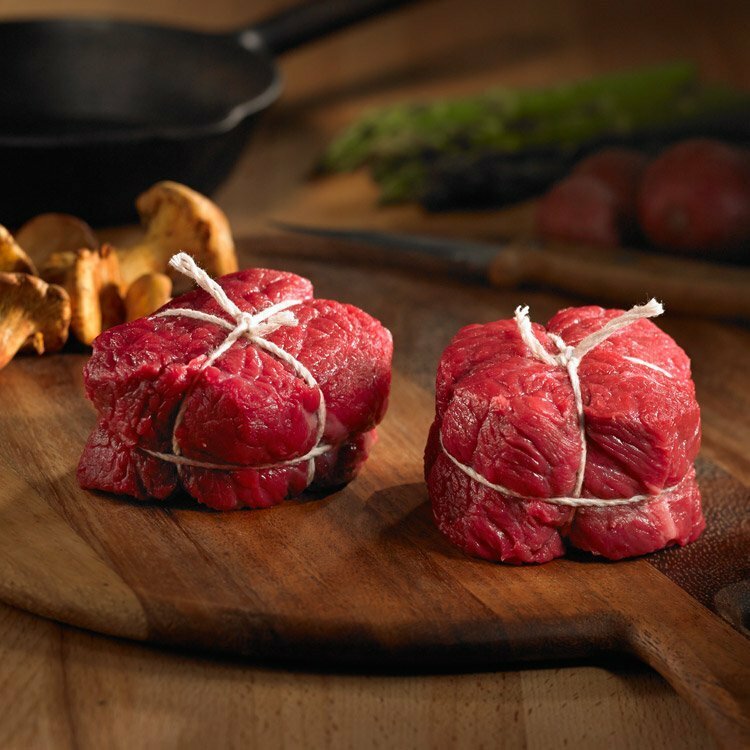 these little gems made of top sirloin are easy to cook up whether on the grill or on the stove. They make for an easy and elegant meal. 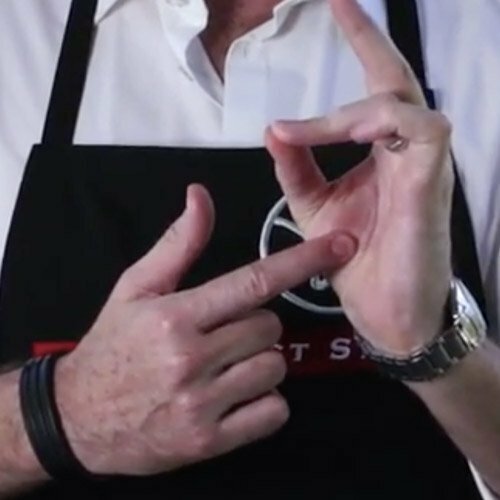 Follow our instructions to get a perfect steak every time. The safest way is to thaw the medallions in the refrigerator at 4 ° C or less. Allow about 10 hours per kilogram of product to thaw. 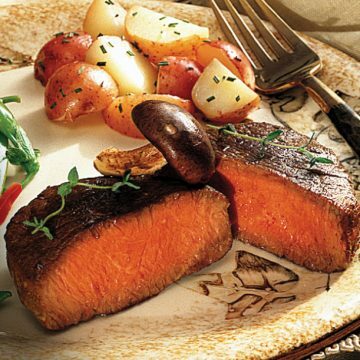 After thawing, marinate for up to 24 hours in the refrigerator. Preparing bison medallions to fry is very easy. Before cooking remove the steaks from the fridge. Let them sit for about an hour at room temperature. You can also marinate in a mixture of oil, herbs and white wine or apple juice for 2 hours in the fridge. After marinating: allow to sit at room temperature for 1 hour. Pat dry with paper towelling. Rub with olive oil (if not marinating). Heat oil in a skillet over medium high heat until very hot (a few minutes) Fry medallions on each side. (See chart below for exact times). Once you have fried the meat for the alloted time, remove to a plate, cover and let it rest for 10 minutes. During this time the steak continues to cook. When frying up bison steak, watch the minutes. Better yet, use a timer. A rare to medium-rare cooked meat is delicious, succulent and juicy. A well done steak is not! 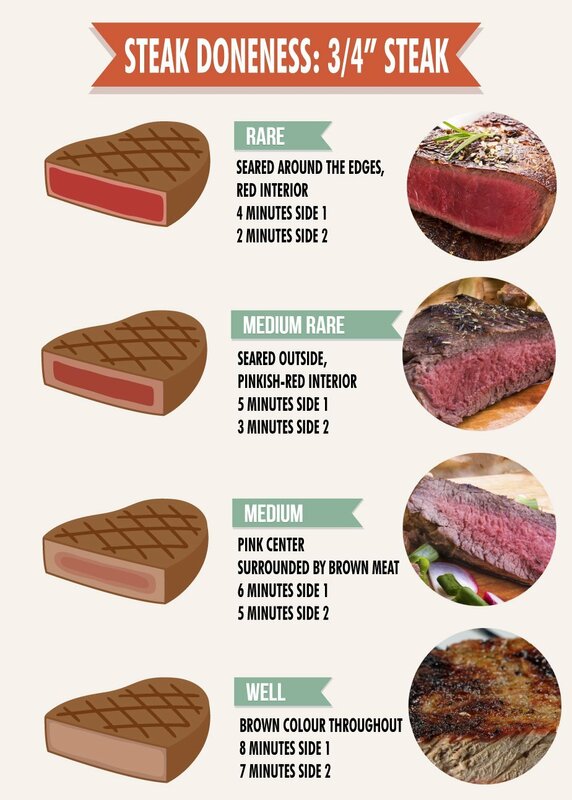 Bison medallions steaks taste best when grilled to rare (red in the center) or medium rare (pink in the centre). This meat is high in iron, giving it a great taste but over-cooking will make it taste like liver and you don’t want that. Let rest for 10 minutes covered before serving. TIP! Using a fork to turn the steaks punctures the meat and releases the juices. Use tongs or a spatula instead. 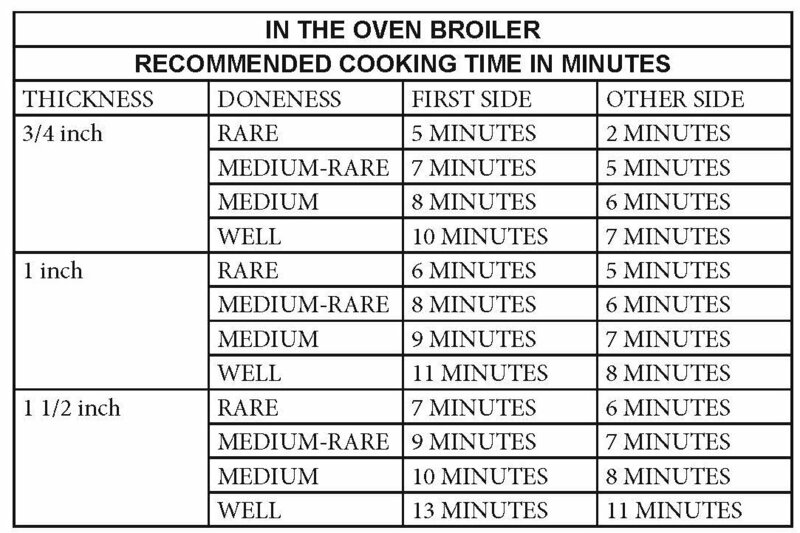 Bison Cooking chart for under the broiler in the oven. You can check for doneness by the bounciness method. Using your hand, touch your forefinger to your thumb. Feel the fleshy part of your thumb. 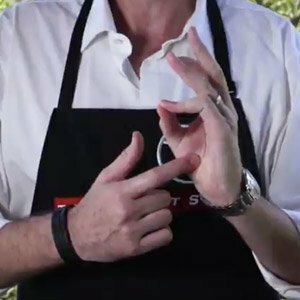 A more thorough way to check for bison medallion doneness is by using a meat thermometer. 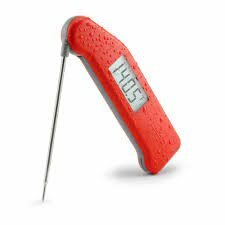 The Thermapen is the Ferrari of meat thermometers. The meat probe is really thin and provides results in seconds. Take two sections of banana the size of the thickness of your bison medallion. Oil the banana. While cooking the medallion place one banana section next to the steak. As the bison medallion cooks, the black line of the banana rises consistently in the same way the steak cooks. 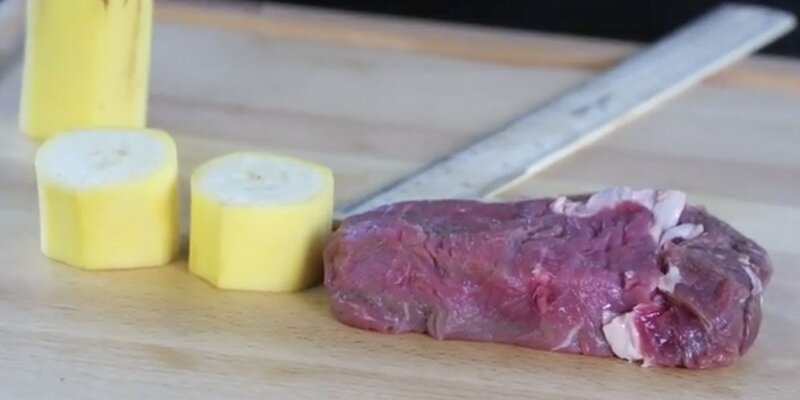 For a medium rare bison steak, the black line on the piece of banana goes 1/3 up. Take another slice of banana and do the same with the other side of steak. Click here for a lovely recipe for bison medallions in a delicious gravy with cranberries. The bison medallion is a delicious cut of meat. To enjoy its taste to the fullest slightly undercook as opposed to overcook. The bison meat continues to cook after removing from the heat. Bison is tender and juicy at rare and medium rare. Asparagus, green beans and new potatoes make lovely sides.